Learn about forex trading using support and resistance zones using non dealing desk forex broker Tickmill ( STP ), ICMarkets (ECN) , or Roboforex ( STP & ECN ). Thought of writing this article as most were asking about Forex too. So here is the English version article of the Forex trading in simple terms for everyone to understand easily. 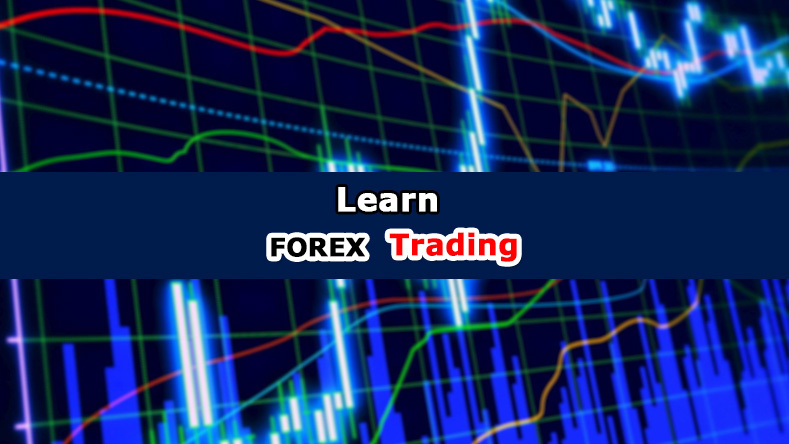 What is forex and how can we earn from Forex trading ? Forex is the worlds global currency market where all currencies are traded. So basically we can earn from it with buy orders and sell orders. If you have already done binary trading, you may have got an idea about buy/sell orders in the form of Call/Put. So basically we earn with forex based on your entry and exit points of a trade. Both are high risk and high yield investments but basics are same as we predict the future of a currency pair based on our analysis on both. In binary you have to decide the outcome ( going to be higher or lower that your entry point ) of a currency pair based on a fixed time. If your prediction is correct, you can normally gain upto about 92% in addition to what you invested for the trade. Incase if your prediction is incorrect, you will only loose the amount you invested. Not anything more than that. In forex you do not have a fixed exit point like in Binary. You can close your trade at anytime as you wish. So basically, if you are successful with a trade. Your earning can be many times higher than your investment. Same way, if your trade is unsuccesful, your loss can be very high unless you use proper money management methods such as Stop Loss. So basically if you do it correctly. The earning potential of Forex is extremely high. How to choose a reliable regulated broker for forex trading ? two main types of brokers. Dealing Desk ( market makers ) forex brokers - Market makers mean they actually makes a virtual market within the company using it's customers. For example, If you make a sell order. It will be matched with a buy order within it's other clients. In case if the virtual market does not have a matching order, company will be taking the opposite end of your trade. So always make sure the market maker broker is a regulated company to make sure your trading with a reliable broker. Non dealing desk forex brokers - ECN and STP are the two types within non dealing desk brokers. Generally what happens is they will be passing your orders to liquidity providers ( banks, hedge funds & investment institutes etc where the true market exits ). They make profits only by charging a small fee as a service charge and a small commission per order. So basically they would prefer you to win always as more trades means they too earn with service charges and commissions. If you like to trade using the MT4 Standard Trading Platform, then Tickmill will be the best as they offer the tightest spread for scalping ( short term 20-50pip lik trades ) with a small investment as low as $100 ( You can try the free demo before using a live account ). Why choose Tickmill for forex trading ? 2 - Non dealing desk STP Broker. 7 - Free demo account and free learning materials. 10 - Company does not charge any fee when funding and withdrawing money. How can I start forex trading with Tickmill ? You can register for free using below link. Ticmill has some very useful set of learning material for free. So go through them too. It is an easy process but those who needs some guidance can use below video. If you like to trade using the Modern ctrader ( less headache in setting take profit targets and stop losses as it automatically displays you everything ) trading Platform, then ICmarket will be the best as they offer the tightest spread for scalping ( short term 20-50pip lik trades ) with a small investment as low as $200 with a true ECN account ( You can try the free demo before using a live account ). Why choose ICmarkets for forex trading ? 2 - Non dealing desk True ECN Broker. If you like to trade using the Modern ctrader ( less headache in setting take profit targets and stop losses as it automatically displays you everything ) trading Platform, then Roboforex will be the best as they offer the lowest deposit for the true ECN account ( Open only ECN Pro Account as MT4 account is different in Roboforex ). The spread is bit higher compared to both Tickmill and ICMarkets but main advantage for you is the low minimum deposit. Why choose Roboforex for forex trading ? 2 - Non dealing desk True ECN Broker ( ctrader ecn pro accounts ) . You can get some basic idea about how the Forex Mt4 trading platform works and start trading. You can use Tickmill official calculators for above value calculations. Specially to check the margin ( this is the amount you need to open a trade ) and pip value ( You can get an idea about how much it will cost per pip. For example 0.01 lot size of Eur/USD is $0.1 per pip while 1 lot of Eur/USD is $10 per pip ). You can get some basic idea about how the Forex ctrader trading platform works and start trading. 1. You can trade using support / resistance as per the below video. 2. Also read the Candle Stick Patterns for forex and binary article. Though it is in Sinhala, the diagrams will be helpful for you to get an idea easily. 1 - Please trade using the demo account until you are successful. 2 - If your trading account has less than $200, Don't use more than $0.01 per trade. ( Incase if you have a $10,000 odd account. $1 would be fine ! ). You can slowly increase this amount based on your success rate ( 0.02, 0.03, 0.05 etc.. ). 5 - Don't go for more than one trade as a beginner. 6 - Trade carefully during news times. It is good, if you can avoid trading during news times. ( Avoid trading 15-30 minutes before and after news ). Anyone got successful with forex trading ? Most fail but those who learn, practice and have enough patience will get the best results. You can read Most Successful Forex Traders in the world to learn about some of the best success stories in Forex world !